umeboss » Blog Archive » Happy 4th Birthday! I made the birthday cake, as usual. As D requested, I made a simple sponge+cream+little fresh fruits cake. Just for a change, I made it into a dome-shape : just like a snow mountain! 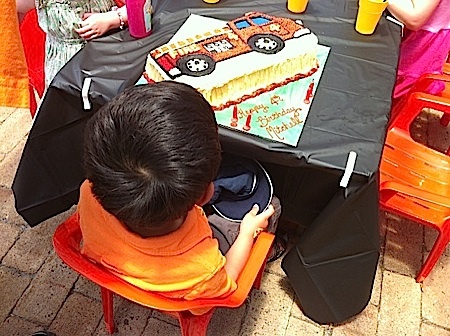 Each year, nephew’s birthday party change its theme : for the first birthday it was Ratatouille, on 2nd birthday it was Elmo, and third birthday was jumping castle (sister-in-law hired a jumping castle for kids). 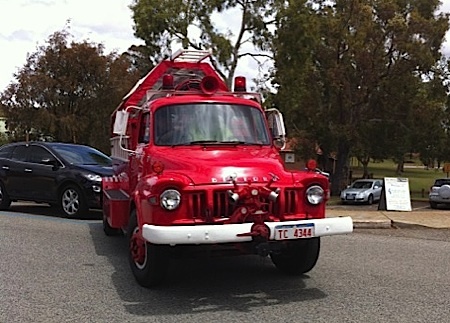 This year, it’s fire truck. 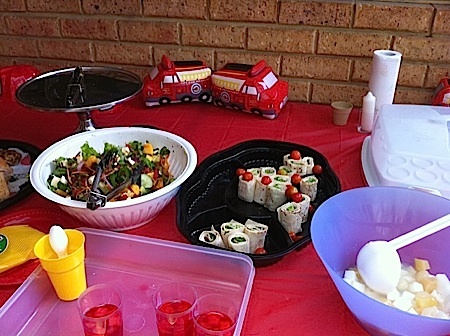 She hired a fire-fighter Kevin to come to the party (not a real fire fighter, of course!). Kids rode on the fire truck and circled around the house. 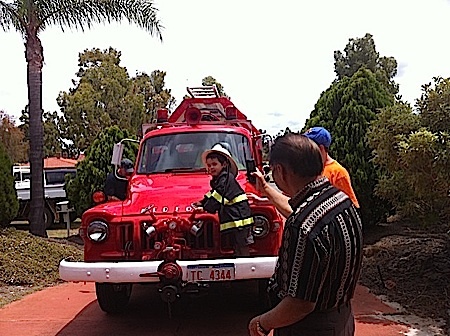 Nephew taking a photo in a fire fighter costume. 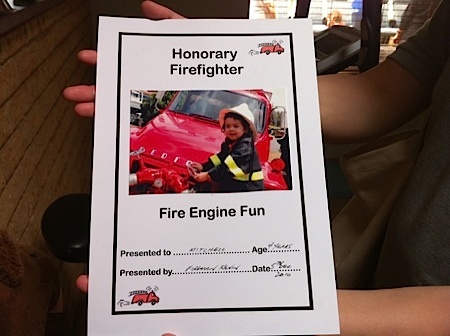 Kevin gave nephew a certificate as well!